The Spokane City Council – often targeted as progressive-leaning by critics – will consider a resolution next week urging the Washington Legislature to pass a two-year, $4 billion capital budget before tackling the so-called Hirst decision. The stalemate at the state level is preventing construction of new facilities at the city’s community colleges, new park projects and the expansion of dental services to low-income residents, as well as costing the city $31 million worth of construction jobs, according to the resolution forwarded by City Councilwoman Amber Waldref. 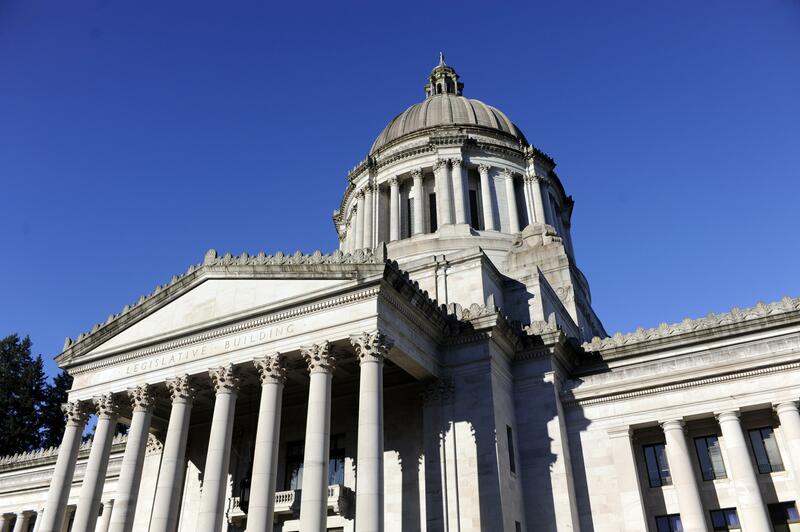 Waldref said the council needed to make its point to lawmakers, who may return to Olympia this fall to address the lingering issue from the latest legislative session. “We’re just hoping that they get enough pressure from local jurisdictions like ourselves, to come together and get it done,” she said. State lawmakers on both sides of the aisle have blamed the other for failing to pass the routine measure funding construction projects after a record-long session this year. Senate Republicans say the state must first address the state Supreme Court decision that puts additional requirements on developers and local governments to prove adequate water supply before building. Democrats in the House of Representatives, including state Rep. Marcus Riccelli, D-Spokane, accuse Republicans of “holding hostage” money for important public projects. Riccelli, who said he agreed the Legislature needed to solve the complications caused by the water rights decision but disagreed with the tactics, applauded the council for taking up the resolution. State Sen. Michael Baumgartner, R-Spokane, said he works closely with the City Council to ensure funding for specific projects. Baumgartner said it was “disappointing” that council members didn’t contact him before considering a resolution he said would have little effect on talks in Olympia. City Councilman Mike Fagan said he’d likely oppose the measure. The council’s lone consistently conservative voice said city lawmakers shouldn’t be involving themselves in state-level negotiations, and the state needed to address Hirst when faced with the potential of tax receipts not meeting projections as property owners learn they can’t build. “To now jump in there with both feet and try to put a wedge in between the two parties, and disrupt subject matter they have already basically agreed to negotiate at the same time, is definitely not serving the people’s purpose at this point,” Fagan said. The council resolution lists six Spokane-specific projects that are on pause as a result of stalled talks in Olympia. Construction was slated to begin last month on renovations to the south wing at 1810 N. Greene St., a building that predates the establishment of the college in 1963. Those have been put on hold while the college waits for its allocation from the state, said John Gillette, director of maintenance for the Community Colleges of Spokane. “No construction inside or outside can be done until the new capital budget is passed,” Gillette said. The building houses an electronics and cosmetology lab, culinary instruction spaces as well as security for the campus. It was built in 1958 and has seen few renovations since then, with the original old tile walls still present inside. Gillette said construction would add about 7,000 square feet of new space and completion had been scheduled for July 2019, a deadline that becomes more uncertain with each passing day. “I would say we’re getting pretty close to affecting the timetable,” Gillette said. Spokane Falls has requested upgrades to its photography and fine arts buildings for several years, said Bonnie Brunt, dean of visual and performing arts at the college – particularly its photography facility, which is left over from when the campus served as Fort George Wright military base prior to 1960. The $2.8 million laid out in the state’s capital budget would be used to design the two new buildings. Construction money would come in a subsequent allotment, which could also be delayed by inaction in Olympia. Two new dental clinics that would serve Medicaid patients have been proposed in Spokane, part of a partnership between Providence Health Care, CHAS Health and the Spokane District Dental Society. An outpatient clinic is planned near Holy Family Hospital on the North Side, and an inpatient facility would be available at Sacred Heart Medical Center on Spokane’s lower South Hill. The Sacred Heart facility would provide dental care for those with significant health risks including cardiac disease, cancer or kidney failure. The $2 million match from the state’s capital budget fund would provide a bulk of the $5 million organizers say is necessary to provide treatment for up to 12,000 patients annually. The city’s Parks Department in April bought 31 acres of Spokane River shorefront property below where low-income housing units are being built on land formerly owned by the Sisters of the Holy Names convent. Plans for the acreage include a fishing site accessible by those with disabilities, parking off TJ Meenach Drive and potential connections with the Centennial Trail and Spokane Falls Community College. Construction is scheduled next year for a new 10-foot wide, milelong paved trail winding its way through Peaceful Valley, connecting the neighborhood with the Sandifur Bridge. That timetable may be delayed as the city waits for funds from the state to move forward. At the same time, the city is preparing to build $1 million worth of stormwater improvements in roughly the same area, and the delay may allow a buffer between the two projects, said Eric Lester, a city engineer overseeing the trail project. “The way things are shaking out, it might be better for us anyway,” Lester said. The trail extensions will provide a 3.5-mile paved loop, along with the Centennial Trail, around the Spokane River on the west side of downtown. Redevelopment of the ballfields at Regal Street and 46th Avenue on the South Hill, a partnership between private development being pursued by KXLY, the Southgate Neighborhood and the city, includes efforts to replace existing playground equipment in the northwest corner of the site. The money available through the state’s capital budget would be focused on playground amenities, said Al Vorderbrueggen, the city’s recreation director. Delays won’t affect rebuilding of the ballfields, but would put on hold the additional amenities, like a small splash pad, he said. Published: Aug. 22, 2017, midnight Updated: Aug. 22, 2017, 10:04 p.m.